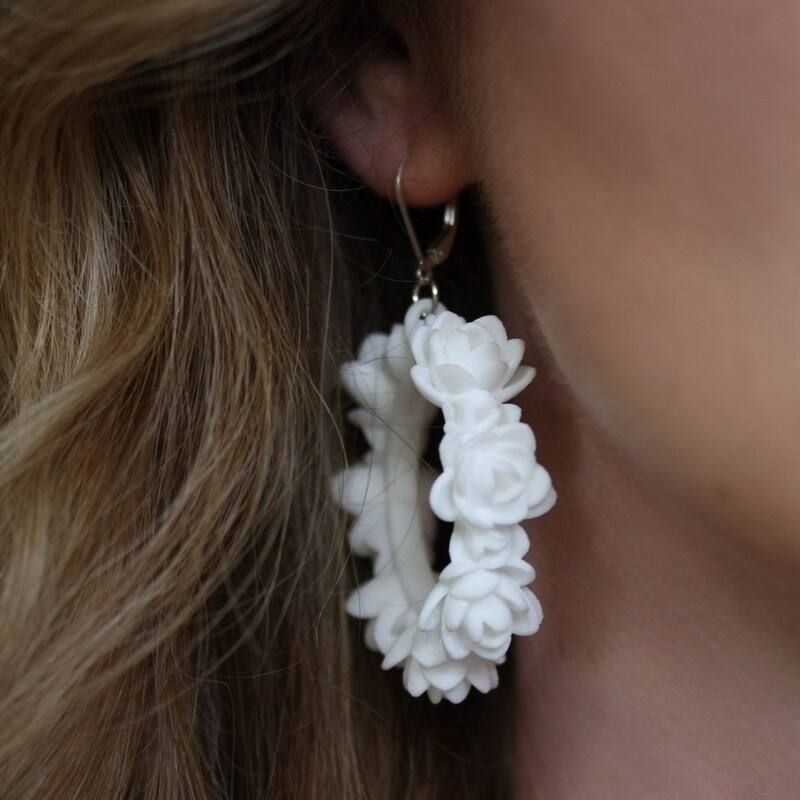 These oversized 3D Printed Lotus earrings are absolutely perfect to make a bold statement anywhere you go! This is a must have this summer! 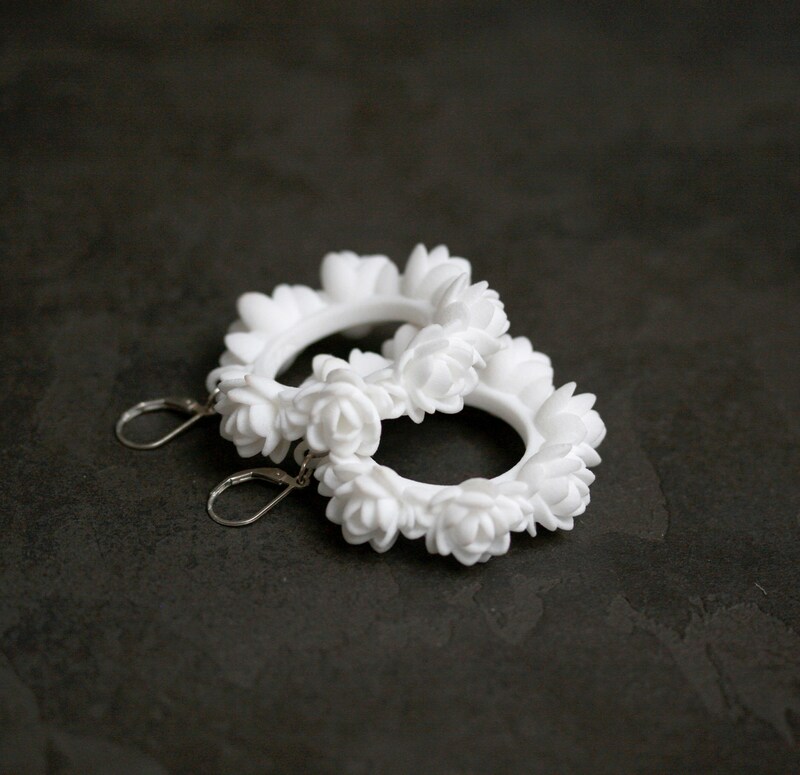 Botanical theme in jewelry is one of the latest trends in fashion as well as 3D printing. And we combine both of them to produce unique pieces that make you shine. 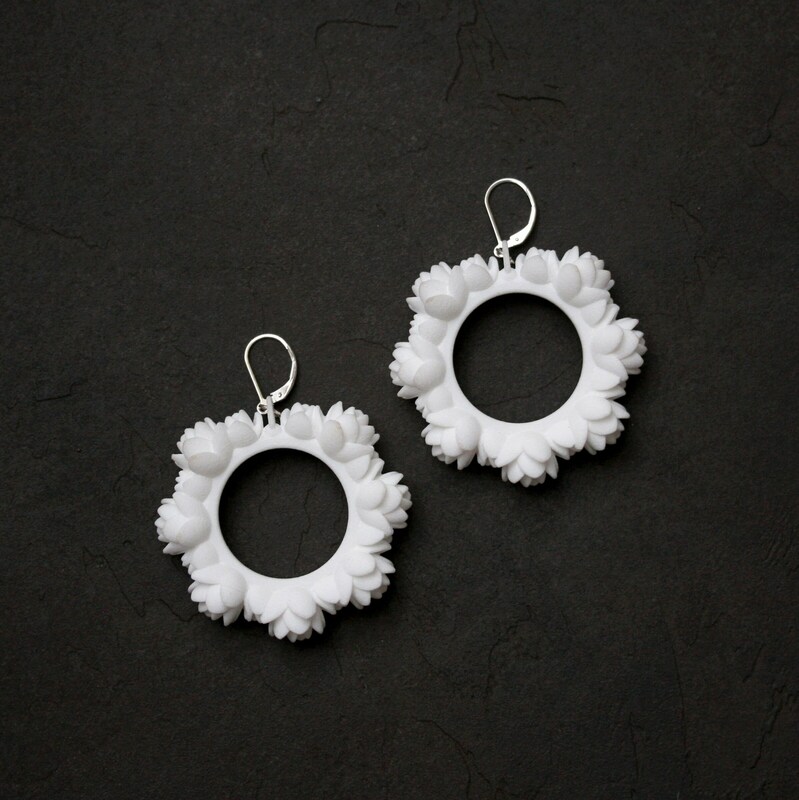 We get our inspiration from nature, use the latest manufacturing processes and create our products with environment in mind, giving you pleasure to enjoy new jewelry guilt-free. All of our pieces are made to order, so we take some time to manufacture the goods. This set of earring takes 10 working days to make, but we promise that the short wait is absolutely worth it!